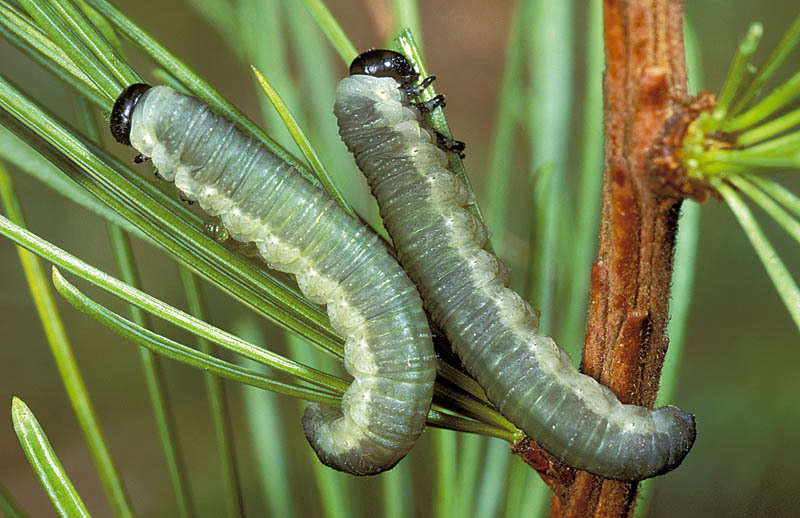 Larch sawfly larvae live in colonies (groups) during their initial larval stages and then scatter throughout the crowns of trees. Larvae feed heavily on needle clusters from mid-May to September, stripping the foliage from entire branches. Mature larvae drop to the ground between June and July and spin cocoons in the duff. The larvae overwinter in cocoons and transform into pupae the following spring. A few individuals may diapause for more than a year. When they emerge from the cocoon in the spring, the females lay approximately 75 eggs in small slits along one side of an elongating shoot. 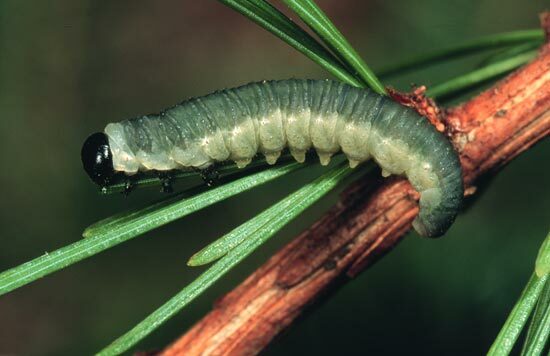 The larch sawfly is considered the most damaging pest of larch in North America. The species was first described in Europe in 1837 but was not reported in Canada until 1882, in Quebec and 1930 in British Columbia.Its origin remains uncertain. 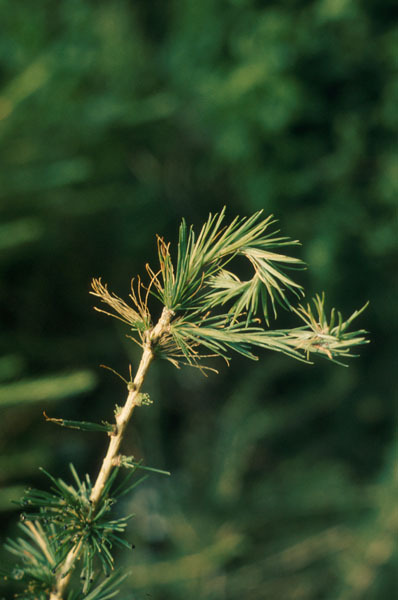 The first large outbreak on record occurred in the 19th century in the Eastern Townships of Quebec, in Ontario, New Brunswick and Nova Scotia, but the populations collapsed after destroying all the merchantable larch stands in North America. New infestations occurred in the 20th century, affecting different parts of the country to varying extents. The insect spread to the West Kootenays, to the north Okanagan and north of Fort Nelson in 1952. An outbreak covering 130,000 ha occurred in the East Kootenays in 1964-1967; a second smaller outbreak covering 12,000 ha occurred in this area in 1982-1983. 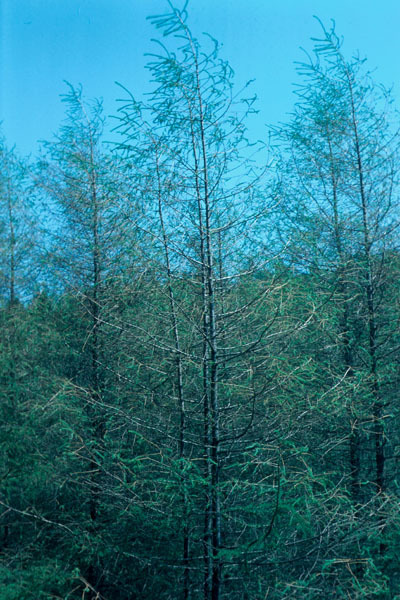 An outbreak was reported in Alberta in 1996-1999 in the northwestern part of the boreal forest and large tracts of larch were defoliated. 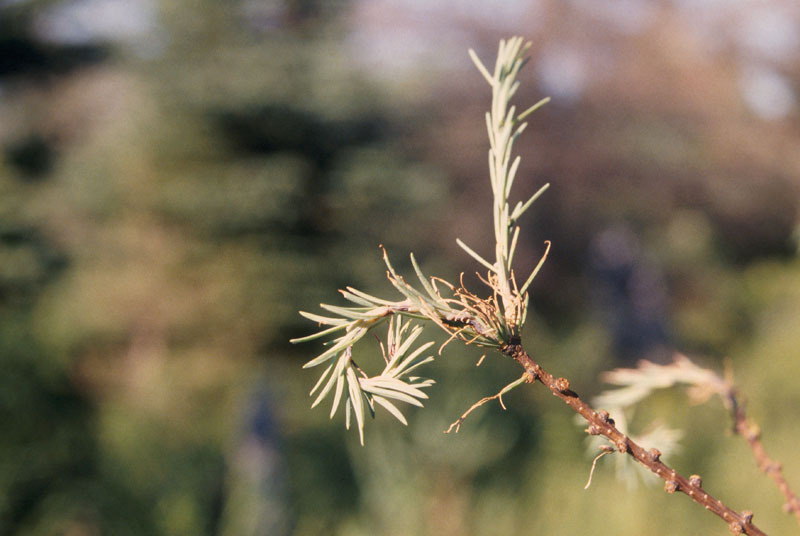 Since the 1970s, the larch sawfly has remained at an endemic level in Quebec, except in seed orchards, where populations are more abundant. 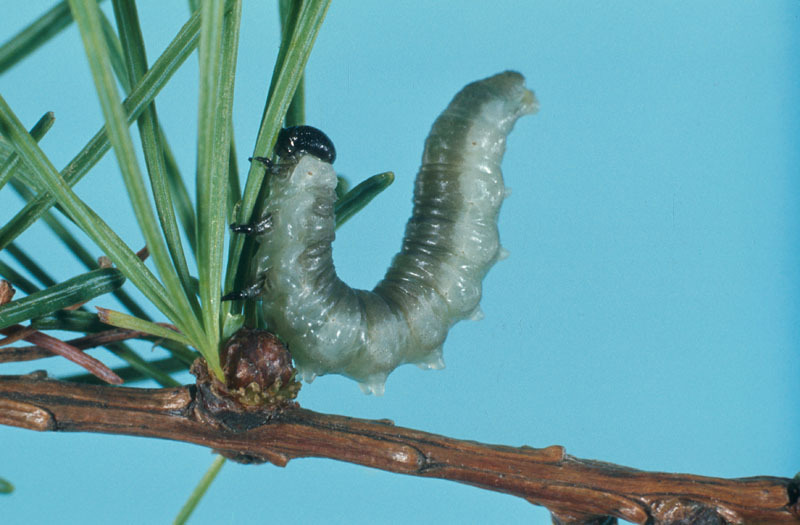 The species can be controlled on small ornamental trees and isolated trees by shaking infested branches and destroying the larvae that fall to the ground.